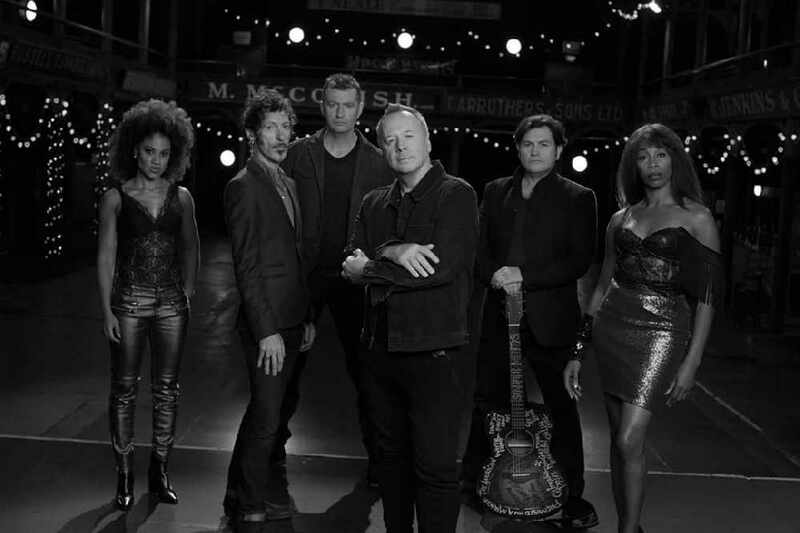 Simple Minds will be taking their new album SIMPLE MINDS ACOUSTIC (out now) on the road in June 2017. The band will play Belfast Waterfront on June 6th & Dublin’s Olympia Theatre on June 7th. 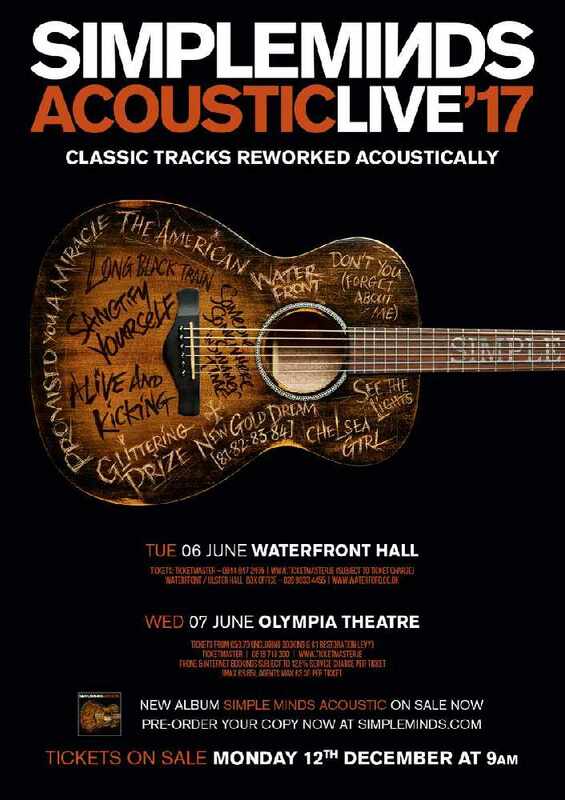 The tour will see them perform a career spanning collection of songs acoustically for the very first time. "The concert stage is where Simple Minds do their best work, it is where we forged our distinctive live reputation. For that reason we look forward immensely to taking Simple Minds Acoustic out on tour. SIMPLE MINDS ACOUSTIC is available now on CD, Digital Download and streaming services. The heavyweight vinyl LP will be released on November 25th.